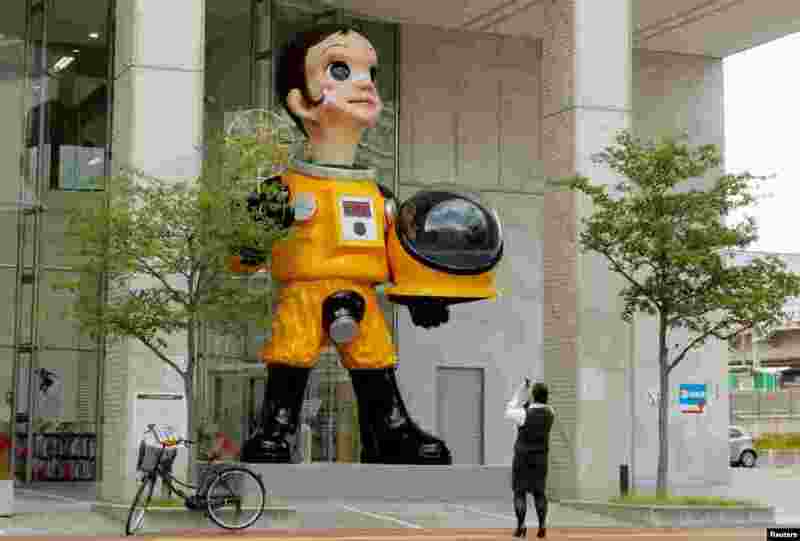 1 A woman takes a picture of a statue of a child wearing what appears to be a hazardous material suit in Fukushima, Japan. 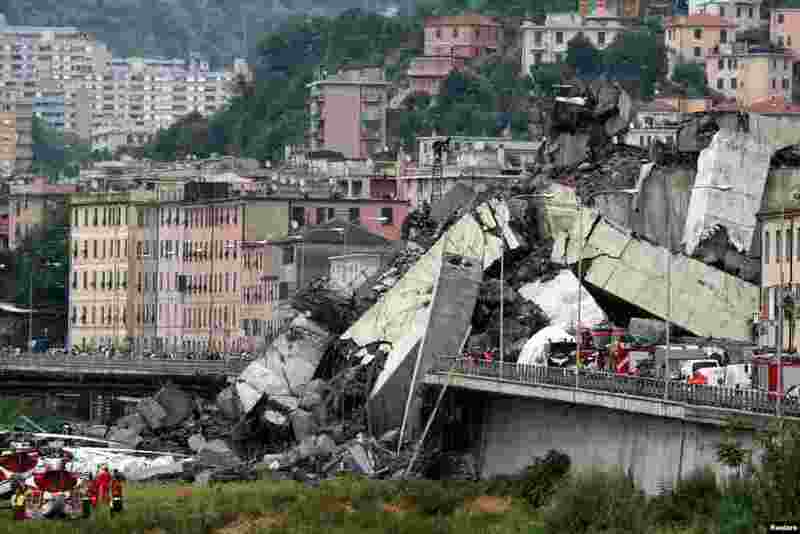 2 The collapsed Morandi Bridge is seen in the Italian port city of Genoa, Italy. A 50-meter-high section of the bridge, including a tower that anchored several supports, crashed down with as many as 35 vehicles, onto the roofs of warehouses and other buildings, plunging huge slabs of reinforced concrete into a riverbed. Up tp 35 were killed, Italy’s ANSA news agency said, citing fire brigade sources, while the official body count remained at about 20. 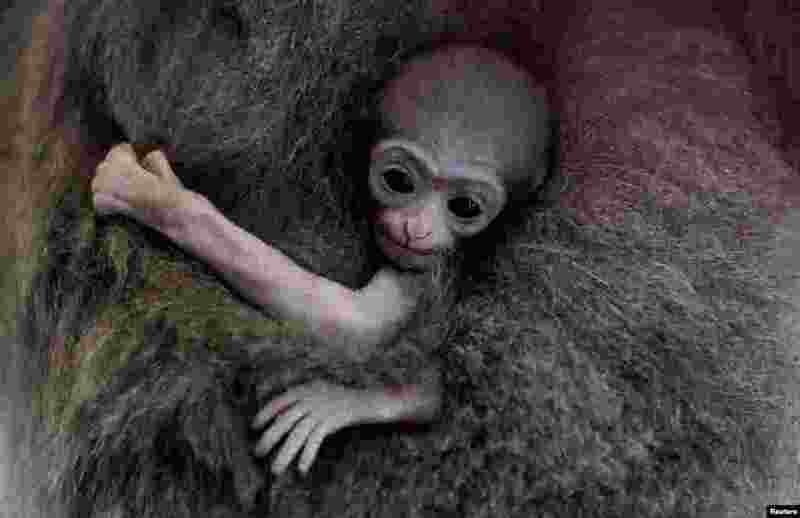 3 A newborn endangered Silvery Gibbon baby is held by its mother, Alangalang, at the Prague Zoo, Czech Republic. 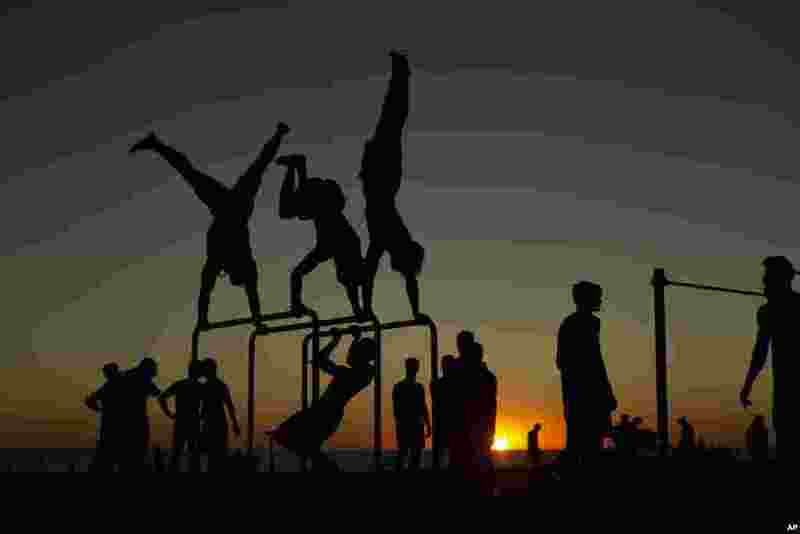 4 Men exercise at a public gym as the sun sets at the Victoria beach in Cadiz, Spain, Aug. 13, 2018.